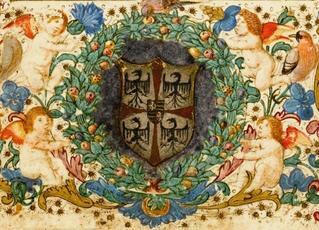 156 color photographs make this art and social history book about the 1400s in Italy a real treasure. Large print runs allow the publisher to sell this quality hardback book at a very reasonable price. If you have a friend or relative who is an amateur Italian Rinascimento art historian, then you've just discovered their perfect gift at a price that won't break the bank. The subtitle of the book is "Art, Pleasure and Power" because the focus is on how the Renaissance's powerful elite commissioned art for two main reasons: for their own and their family's pleasure, and as a display of their power to their subjects and to other power players. 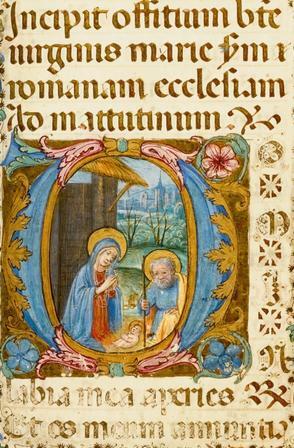 The illustrations on this page are from a Book of Hours (Prayer Book) that was commissioned by Isabella d'Este (Aragon), which was recently auctioned off for over 300,000 dollars. The text is scholarly. The images fit the text very well. I would have liked the image caption text to be larger and darker. If you love history and art, and you're traveling to the places covered in this book, or have recently traveled there, you should enjoy this book very much. Milan-Pavia under Ludovico "Il Moro"
These power centers were actually military dictatorships run by either tyrants or benevolent Princes, along with a few so-called Republics which were in reality oligarchies. Foremost in their thoughts when commissioning art was their own validation and aggrandizement in the eyes of everyone from their rival family members, rival Princes, the Pope, their subjects and the Holy Roman Emperor. Family histories that purported to link the leader to historical greats were popular commissions from writers. It is amusing to note that narcissistic, wealthy people today emulate many of the commissions of the Renaissance (Rinascimento in Italian) elite. 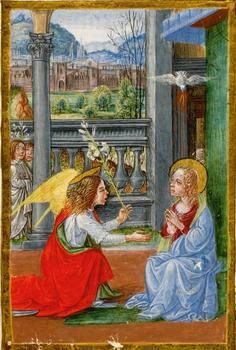 Illumination art that included the family in monumental historical and religious events was common. It reminds me of the reproduction paintings wealthy people can commission today with the rich person's family members' faces replacing the original faces. Ancient Roman style commemorative medallions attempted to show the link to the Roman Empire, with families often claiming to be descended from the ancient elite. 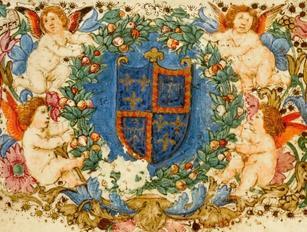 Against the backdrop of constant warfare, factional rivalry, popular unrest, arbitrary violence, devastating plague epidemics and a litany of everyday concerns, there were real pleasure, spiritual nourishment and consolation to be found in the arts and scholarship that the courts commissioned and consumed. This is a quality scholarly book sold at an insanely reasonable price. In this fascinating study, Alison Cole explores the distinctive uses of art at the five great secular courts of Naples, Urbino, Ferrara, Mantua, and Milan. The princes who ruled these city-states, vying with each other and with the great European courts, relied on artistic patronage to promote their legitimacy and authority. Major artists and architects, from Mantegna and Pisanello to Bramante and Leonardo da Vinci, were commissioned to design, paint, and sculpt, but also to oversee the court's building projects and entertainments. The courtly styles that emerged from this intricate landscape are examined in detail, as are the complex motivations of ruling lords, consorts, nobles, and their artists. 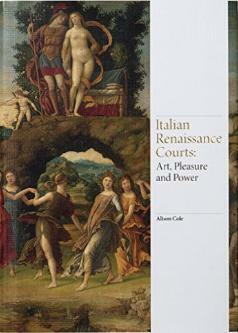 Drawing on the most recent scholarship, Cole presents a vivid picture of the art of this extraordinary period. Please visit the publisher's website for more information on the subject in their "Associated Materials" section, and follow them on Facebook.